Let's not minimize the gift of deep cleaning. That's awesome. Thanks, Helga! Also, you bought ballet tickets, took me out to eat, you've given me various small things, and we had a lovely quiet evening in where we opened a bottle of good beer. I was joking about it being a 12 days of birthday. The photos are SATISFYINGLY disgusting. I love deep cleaning!! But never do it of course. 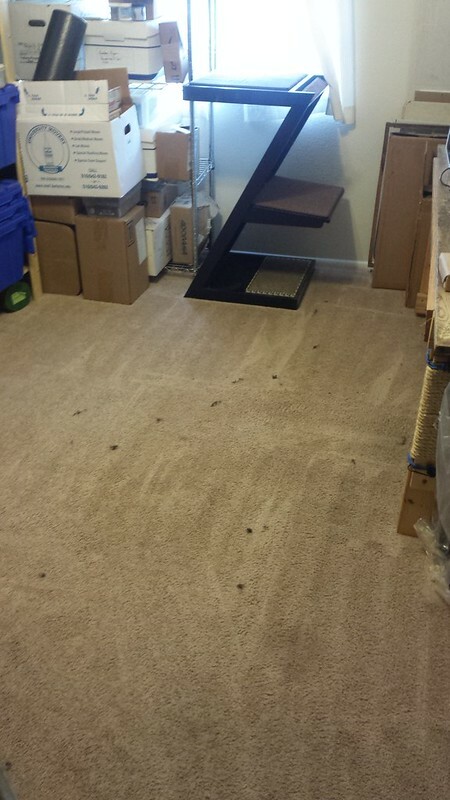 Living in a lot of different apartments growing up, the ritual cleaning of the carpet before moveout and resultant unholy water are very familiar to me. This photo brings up a lot of memories there. Heh, you have lived in some apartments with very different cleaning standards from my own. That said, I wish I'd known more about steam cleaners when I lived in the garage. That carpet was terrible!